Greenland has been bare in human times, and may be again soon. Stunning new science from Joerg Schaefer. 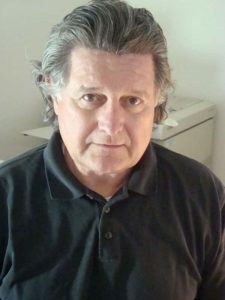 Journalist Robert Hunziker: Japan’s shameful conspiracy to silence Fukushima disaster for the Olympics. Plus notes on the long shadow of Trump’s climate denial. My first guest is scientist Joerg Schaefer from Columbia University. We talk about a new paper that re-writes everybody’s understanding of Greenland. That research, just published in Nature, uses space-age technology to reveal Greenland has been mostly ice-free, for more than a hundred thousand years, relatively recently. And it could go back that way again. In our second half hour, the story nobody wants you to hear about. While the three melted reactor cores from Fukushima are still missing, burrowing under the ground of Japan – the old marriage of Japanese government, media and industry has united to cover it up. Radioactivity remains in Tokyo, and at the city of Fukushima. So why is the government forcing resident back there, and cutting off health care? And why oh why will we sent the world’s health athletes to Fukushima in 2020, for the summer Olympics? It’s a nuclear nightmare that won’t end in our lifetimes. Journalist Robert Hunziker plugs us in with his continuing coverage and insider Japanese sources. The fossil fuel industry, and their paid climate deniers, have taken control of the government of the United States. Russia, another major world supplier of oil and gas, played it’s part, raiding the servers of the Democratic Party, the Democratic Candidate, and their campaign Chair. As a result, scientists at the recent meeting of the American Geophysical Union are gathering to protect their data, and likely many of their jobs. Our first guest Joerg Schaefer came from his training in Germany and Switzerland for the brightest minds and best technology to analyze and predict climate change. Now all that is in doubt. There are several movements in science to make copies of key climate databases and models, to get them out of the country before the climate killers take control. But even this misses another threat. Climate science depends on long strings of dependable records. Weather comes and goes, but climate is understood decade by decade, through centuries, and even millions of years. The United States, through it’s network of satellites, ocean buoys, and research ships provides a great deal for scientists in many countries. If there is a break in those critical records, even for four years, or heaven forbid, eight – then we’ll know less, and be less prepared. Less prepared for the biggest shift in human affairs in the whole time we have been on this planet. The great but slow movement to get off fossil fuels will continue. Citizens will continue to install solar panels, the price will continue to drop. While Donald Trump may subsidize the coal industry, and get a mine or two going, nobody wants to go back to coal. It cost more than renewable energy, or gas, even without a price on carbon. America might as well go back to making horse carriages, or the original Apple computers. Trying to rebuild a coal industry is just going to waste money and time. We don’t have that time. Each and every scientist you’ve heard on Radio Ecoshock this fall has brought out another feed-back, a greater climate sensitivity, more reasons why we have to cut carbon emission drastically, ideally starting 20 years ago. As our guest Kevin Anderson from the Tyndall Center told us, the next four years are critical. Can we stop Greenland from reverting to the bare rock it knows best? Can we save the remaining Arctic sea ice, to stabilize the weather further south, where most of you live? Can we prevent methane geysers from the sea floor? Can we slow deglaciation in Antarctica until we find a way to remove greenhouse gases from the atmosphere? All this may be up to the rest of the world, while America enters bizarro world, the place where foxes guard the hen-house. Or the responsibility may go back where it really belongs: into our own homes, lives and lifestyles. If we can’t count on the big father of national governments, the future returns to us. Prepare to organize. Prepare to act, to save ourselves and Nature. I consider this interview with Dr. Schaefer to be among the top ten of scientists on Radio Ecoshock in 2016, for the importance of the subject. In addition to the science, we also discuss de-funding of climate science by the incoming-Trump administration. Schaefer says American science is at a high point. He moved to New York from Europe because the U.S. has two of only three machines in the world that can analyze the rock sample taken from under Greenland’s ice, at a nuclear level. The only other one is at Australian National University. It would be a large loss. However, I throw in 2 minutes of Jerry Brown, the Governor or California, who says it Trump cuts out the key climate satellites, California itself will launch satellites. As a hub of space technology, and the sixth largest economy in the world, California can keep the torch of climate science alive, says Brown. Find a You tube video of that Jerry Brown talk to scientists at the December 2016 AGU conference here. During my lifetime, scientists and the popular press portrayed Greenland as long-frozen over, for millions and millions of years. Now that seems doubtful. According to a new study published in the journal Nature, Greenland could have been mostly ice-free sometime during the last million years, and it could go back that way. The title is: “Greenland was nearly ice-free for extended periods during the Pleistocene”. Just a matter for ice geeks you say? The lead author Dr. Joerg Schaefer says the massive Greenland ice sheet “might go again, and might go again soon”. That would create an ocean several meters higher, re-writing all our maps and cities around the world. The global models that predict our climate have not had time to include this new information, developed from a cutting edge scientific technique. Joerg Schaefer is an Adjunct Professor at the Department of Earth and Environmental Sciences of Columbia University. He’s also a research Professor at the respected Lamont-Doherty Earth Observatory just north of Manhattan. Educated in Germany and Switzerland, speaking four languages, Schaefer is a specialist in a rare new technology called “Cosmogenic Dating”. We’ll get to that, as we explore the past, hoping for a mirror to see the future. 5. Then they drilled into the bedrock, and retrieved 1.5 meters of rock (5 feet), which is the basis of this new study. 6. This is the first geological sample which can tell us more about the history of the Greenland ice sheet. 7. Given the possibility of natural forcing, added to the man-made warming, “we have to be prepared”. You can find the JOERG M. SCHAEFER bio page here. Joerg is also Head of Cosmogenic Dating Group at Lamont, and part of the Columbia Earth Institute. He is also part of the Columbia Earth Institute . Here is an article from the American Academy for the Advancement of Science about this Greenland article in the journal “Nature”. “Climate models show that ice-sheet melt will dominate sea-level rise over the coming centuries, but our understanding of ice-sheet variations before the last interglacial 125,000 years ago remains fragmentary. This is because terrestrial deposits of ancient glacial and interglacial periods1–3 are overrun and eroded by more recent glacial advances, and are therefore usually rare, isolated and poorly dated. In contrast, material shed almost continuously from continents is preserved as marine sediment that can be analysed to infer the time-varying state of major ice sheets. Here we show that the East Greenland Ice Sheet existed over the past 7.5 million years, as indicated by beryllium and aluminum isotopes (10Be and 26Al) in quartz sand removed by deep, ongoing glacial erosion on land and deposited offshore in the marine sedimentary record. During the early Pleistocene epoch, ice cover in East Greenland was dynamic; in contrast, East Greenland was mostly ice-covered during the mid-to-late Pleistocene. I ask Joerg if this second study is a contradiction to his own results, since it finds “a persistent” Greenland ice sheet over the past 7.5 million years, where the Schaefer study found Greenland was “almost” ice-free some time in the last 2.5 million years. Joerg tells us he knows both this study and it’s author Paul Bierman of Vermont. The Bierman-led study used a sample “sourced only from East Greenland”. This, says Schaefer, would be the last place where ice would be found in a warming world. It’s also a helpful clue showing where the nucleus of the next ice sheet would begin, in a cooling world. But during the last 2.5 million years, the rest of Greenland was likely ice-free – and not just for a short period, but possibly a couple of hundred thousand years. Keep in mind that a hotter virtually ice-free world is the “normal” state of Earth, in the sense that there have been much, much longer times when there was no ice at the poles, than when there was. The only catch is that we mammals, and most of the species we admire and depend on, have adapted to living on a planet with ice-caps. If the world rather rapidly reverts to a state 5 or more degrees hotter (Celsius) it’s unlikely humans and other large mammals would survive. Certainly billions of humans would not survive. 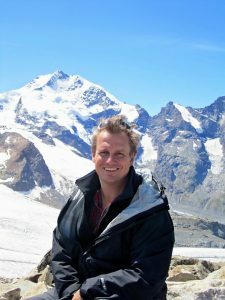 Joerg Schaefer is also frustrated that so far their cosmogenic dating technique cannot tell us exactly WHEN Greenland was mostly ice-free. I asked if other records of much higher sea levels would match the ice decline. “Yes” says Schaefer, but there is such a large swing due to the melting of the main glacier covering North America, the Laurentide glacier (yielding over 100 feet of sea level rise) that it’s difficult to tease out the seven or so meters coming from Greenland, or possibly from Antarctica, or both. Preferring scientific caution, Schaefer will not name possible dates. But in the interview he suggested his team is working on that very question of timing, and hope to publish a paper with more answers in a year or so. In this interview I also mention an article published December 16th in the journal Science. It was by one of Schaefer’s co-authors, Richard Alley of Penn State. With Michael Oppenheimer, they released a new estimate of sea level rise, projecting seas two meters, or over 6 feet higher, by the end of this century. But Alley and Oppenheimer cite a larger contribution from Antarctic, not Greenland. Is the near-term melt from Greenland high risk but low probability? Joerg Schaefer and I discuss that in this Radio Ecoshock interview. I found the Schaefer-led Greenland letter in Nature very disturbing, even on a personal level. Once again, the entire picture we had of the stability of Nature has been questioned, if not thrown out. It takes us closer to an emerging state of chaos. Do you think that’s where we are headed: climate chaos? Schaefer says “not yet” and there is still time to avoid the melt-down of Greenland. I hope he’s right. Well I guess the triple-meltdown nuclear disaster at Fukushima is all over. It must be. We’re not hearing much about it, right? As we’re about to find out, the silence about the continuing horror in Japan is no accident. Robert Hunziker has some news even hardened Fukushima-watchers missed. Robert’s the free-lance environmental journalist whose work is published all over the world. This latest article can be found in the online magazine Counterpunch on October 31st, under the title “Fukushima Cover Up”. I’ve covered the triple-melt down at Fukushima from the very day it started. There were emergency podcasts, interviews with tons of experts, including from the Union of Concerned Scientists. Just Google “Radio Ecoshock and Fukushima” and stand back. But just because the story is over in the media, and the Japanese government would dearly love us all to forget about it – THIS ACCIDENT IS STILL HAPPENING. The three reactor cores, including one laced with plutonium, are still lost somewhere under the ground in Fukushima, and still pumping out massive amounts of radioactivity. The Japanese utility TEPCO, which went bankrupt and was bailed out at huge cost by the people of Japan, continues to pump out very radioactive water, to be stored in an ever-increasing vast tank farm on the site. That may go on for another 40 years or so, except (a) the company is running out of places to build those tanks and (b) radioactive particles are flowing into the Pacific Ocean daily anyway. The Government announced an “ice wall” to contain that radioactivity, but that didn’t work, despite the tens of billions of dollars spent. There is no solution to this problem. Radioactivity is now acknowledged by American experts as having arrived in the currents to the West Coast of North America. Of course the Pacific fisheries has been irradiated. I would not eat fish caught there. The levels may be “low” but there is no safe level of radioactivity. The Fukushima nuclear accident also continues because the people irradiated by the accident (including a huge part of Japan, and including Tokyo) will pass down illness for an unknown number of generations. The largest number of people receiving medical treatment due to the Fukushima nuclear disaster were born AFTER the accident, Robert Hunziker tells us. The government and the nuclear industry have found multiple ways to hide this. One of the largest was to pass fake “terrorism” legislation, where any journalist reporting on Fukushima impacts could be charged as a “terrorist”. Then some one leaned on the largest daily newspaper of Japan (7.5 million subscribers, about triple the New York Times) to dismantle their team of more than two dozen journalists covering Fukushima. After winning awards for their reporting and exposes, these journalists at Asahi Shimbum newspaper were either fired or moved to other departments. That’s another way to “solve” the crisis. I won’t go into all the ways the doctors have been silenced, medical records faked, and “temporary” workers at the cleanup not counted. It’s horrifying – and it’s an example of why humans cannot be trusted with nuclear power. Japan says they have “cleaned up” the Fukushima area, by scraping up dirt and storing it God-Knows-Where in giant bags which might circle the Earth if lined up together. I doubt it, and nobody can “clean up” all the forests which were laced with particles, right up to and including plutonium that last for over half a million years. The clean-up is a fairy tale. Meanwhile, and this is too incredible, Japan has somehow captured the 2020 Olympics. Worse, they plan to force people evacuated from nearby Fukushima city back into hot zones (by cutting off their aid if they don’t). They, Japan has scheduled sports events at Fukushima – with local food brought in from the irradiated zone! It’s not bad enough our athletes had to deal with Zika virus and polluted water in the Brazil Olympics. No, they have to be publicity guinea pigs for the Japanese nuclear disaster. By the way, during my many interviews and podcasts, often using reporting from Japanese TV during the incident, there is no doubt that Tokyo itself was blanketed by nuclear particles. More ran into the underground water supply from the nearby irradiated hills. Earthquakes continue to rock the Fukushima area, like this one. Who knows what can happen, with those lost reactor cores. Let’s face it. I would not get these cutting edge scientific guests and journalists without you – the many listeners to Radio Ecoshock. Plus listeners have once again stepped in to fund my production and distribution of this program. The 96 non-profit stations broadcasting this show get it free, because of you. Thank you. This was a superb podcast, that I heard yesterday morning at 6.a.m.. Christmas Day – every other radio channel was broadcasting Christmas stuff ranging from the beautiful to the banal (with more at that end). Very interesting stuff regarding Fukushima. Our immaturity is staggering.